These were developed through a four-year process of consultation and research with people across music education and creative learning - schools, academics, young people, music educators etc. - undertaken by Awards for Young Musicians, Youth Music and Musicians Benevolent Fund. The key research findings are presented in 'Creating tomorrow's musical adults'. 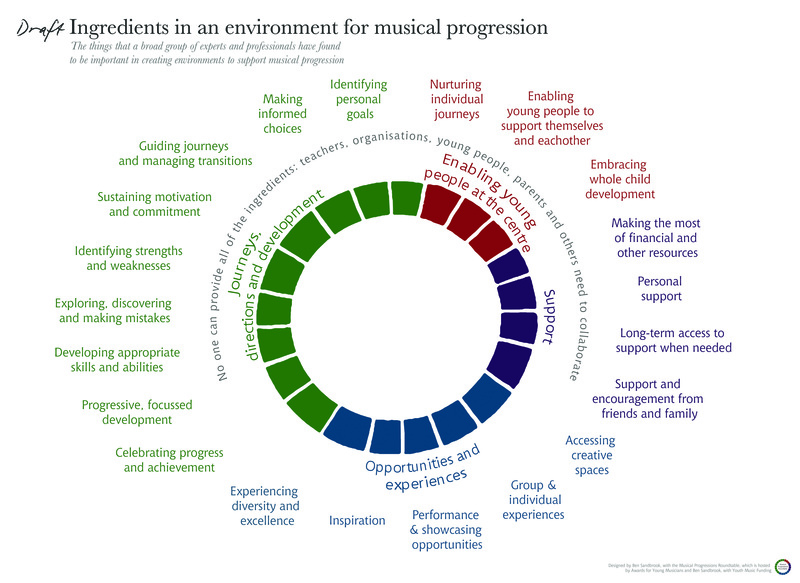 A skeleton strategy for using the ingredients to create these environments in practice is described in Supporting all children's musical progression.